A new fund aims to use a fintech platform to disburse R1-billion to 2000 small businesses over the next three years which will allow it to charge not a single cent in management fees, claims True Impact executive director Justin Naidoo. Despite this, the funding may not necessarily come cheap for small businesses — who it seems will be still be charged in other ways for borrowing the money. 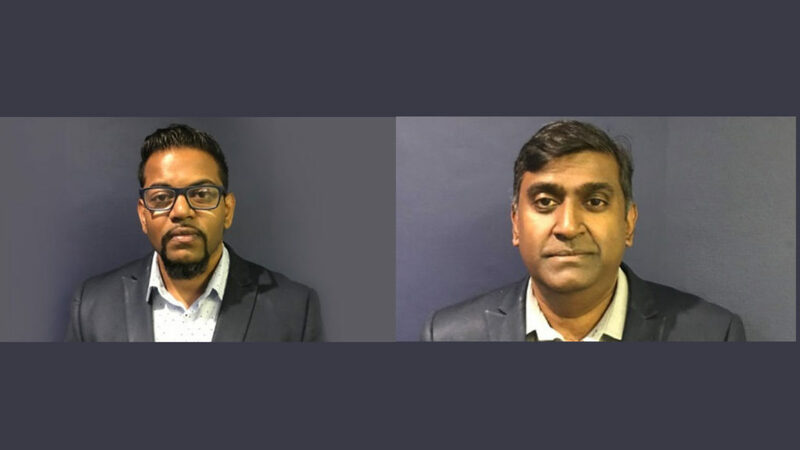 True Impact, a consultancy that specialises in enterprise and supplier development (ESD) solutions for corporates, is headed by Siva Moodley (pictured above, right with Naidoo, left), who is also the co-founder of insurtech Fo-Sho. Last month True Impact announced that it would partner with fintech funder ProfitShare Partners and had committed R100-million in funding over the next three years. Naidoo told Ventureburn last week that the Johannesburg based asset manager currently has R100-million under management. When it came to sourcing more capital, he said True Impact is currently in “confidential strategic talks” with “major players” across various industries in South Africa. He said the company is setting up a new series of funds with the aim of raising R1-billion over the next three years, “of which 100% is aimed to be deployed at 0% management fees to underlying SMEs that currently are financially excluded”. 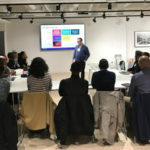 “Our view is that fintech is central to solving many of the issues that SMEs experience in terms of financial exclusion. Not having the brick and mortar infrastructure-based credit models of traditional banks allows us to think outside of the box with regards to solving these issues,” he said. When asked about what the company’s revenue model is, Naidoo said the company’s model is “more assets under management centric, as opposed to being revenue focused”. But despite the fund not charging any management fees, it will likely not be cheap for small businesses that borrow from Profitshare Partners. Profitshare Partners is an invoice factoring house that advances funding to small businesses and then collects the invoice on its behalf, taking some of the profits the client makes off the invoice. The share the funder takes is typically about 25% to 33% of profits, going on an example provided by ProfitShare Partners CEO Andrew Maren in a recent interview with SAfm. Naidoo said the Johannesburg based True Impact was conceptualised in 2017 by a group of black businessmen, which include founder Siva Moodley. He said while a substantial capital exists from corporates to fund black businesses by way of the enterprises and supplier development (ESD) element of the BEE codes, much of this is not finding its way to small businesses in South Africa. “They wanted to create an ESD model that didn’t require management fees and could disburse all the capital allocated to them with high impact to a larger number of SMEs who were excluded by the very funds that were set up to help them,” he said. He said while the asset manager currently has R100-million under management – the company is setting up a new series of funds with the aim of raising R1-billion over the next three years, “of which 100% is aimed to be deployed at 0% management fees to underlying SMEs that currently are financially excluded”. “We find that for many of these issues, solutions simply did not exit so we had to create new solutions, for example our primary funds being SMME and ESD Funds. We were pleasantly surprised to find an existing fintech player – and now partner – in ProfitShare Partners. Other examples include our Women In Business and artificial intelligence (AI) funds,” he said. He said the organisation’s first two funds will focus on lending to black suppliers and small businesses, respectively. This will be followed by an AI fund, Shariah (Islamic) fund and then lastly conventional funds. *Correction (1 April 2019): In the initial version of this story True Impact’s executive director Justin Naidoo is quoted as saying that fund administrator Edge Growth and bank FNB have a small shareholding in True Impact. True Impact managing director Siva Moodley alerted Ventureburn via email today that while EdgeGrowth has an equity share in ProfitShare Partners, with whom True Impact is partnering, the fund administrator has no stake in True Impact. Furthermore FNB has no stake in either ProfitShare Partners or True Impact, he said. We regret the error.